Kartis, one of the most renowned Argentinean magicians, is known as "The Master of Masters". He gave the magic community "The Kartis Bill Change". Now he gives you the next generation, "Kartis Bill Change 2.0", which is just as visual but even more deceptive. Hold a blank piece of paper with your fingertips and with no apparent movement the paper visibly transforms into a bill right before your eyes. 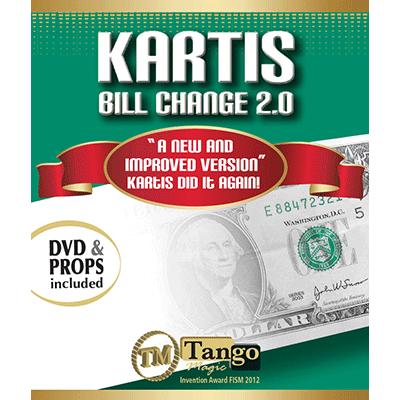 If you want real magic, if you are in search of the perfect bill change, look no further than "Kartis Bill Change 2.0"!"